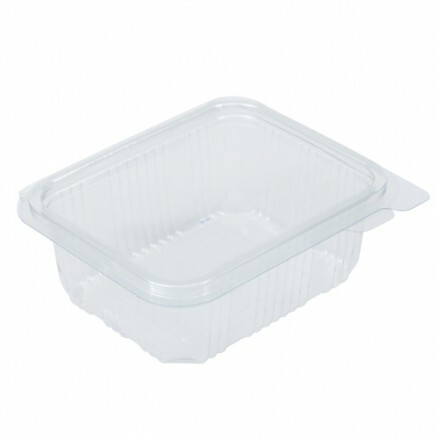 Our quality salad containers can be used for many different products from salad to sweets or cake to olives. 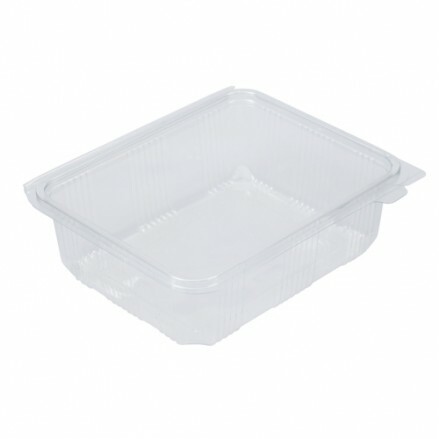 These containers are manufactured from RPET (recycled PET) containers and whenever a recycled material is used in production this has a positive effect on the environment. 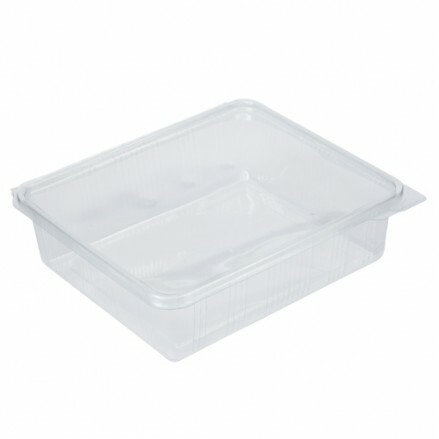 This range gets its name from the 'Crystal clear' appearance, the 'sparkle' in the plastic catches the eye of your customer as they move around the store. 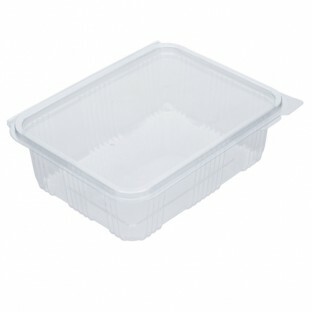 These containers are leak-proof and stack extremely well making them the perfect pack for you. 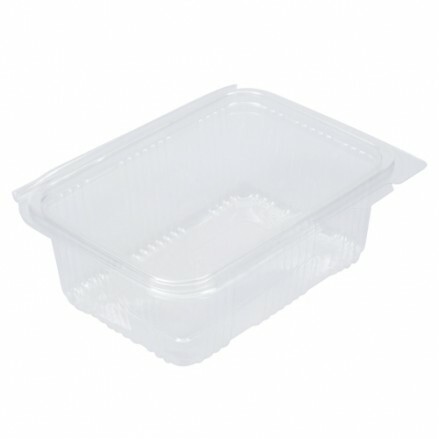 850 per case 250cc High Clarity hinged container 120 x 90 x 45mm -..
700 per case 375cc High Clarity hinged container 130 x 105 x 50mm - RPET .. This size has had a manufactirung issue and is currently out of stock until furt..
300 per case 750cc High Clarity hinged container 170 x 130 x 55mm - ..
350 per case 170 x 130 x 55mm - RPET (Recycled PET) 1000cc High Cla..
200 per case 1500cc High Clarity hinged container 215 x 175 x 60mm - RPET..
200 per case 2000cc High Clarity hinged container 230 x 195 x 65mm - RPET..